Happy spring in the northern hemisphere and fall in the southern hemisphere. I am back after a fun teaching trip in New Zealand at The Embroiderers' Great Escape weekend of stitch in Orewa and Auckland and visits to Nelson, Wanganui and Hamilton needlework guilds. New Zealand is a beautiful and hosiptibal country with talented stitchers. 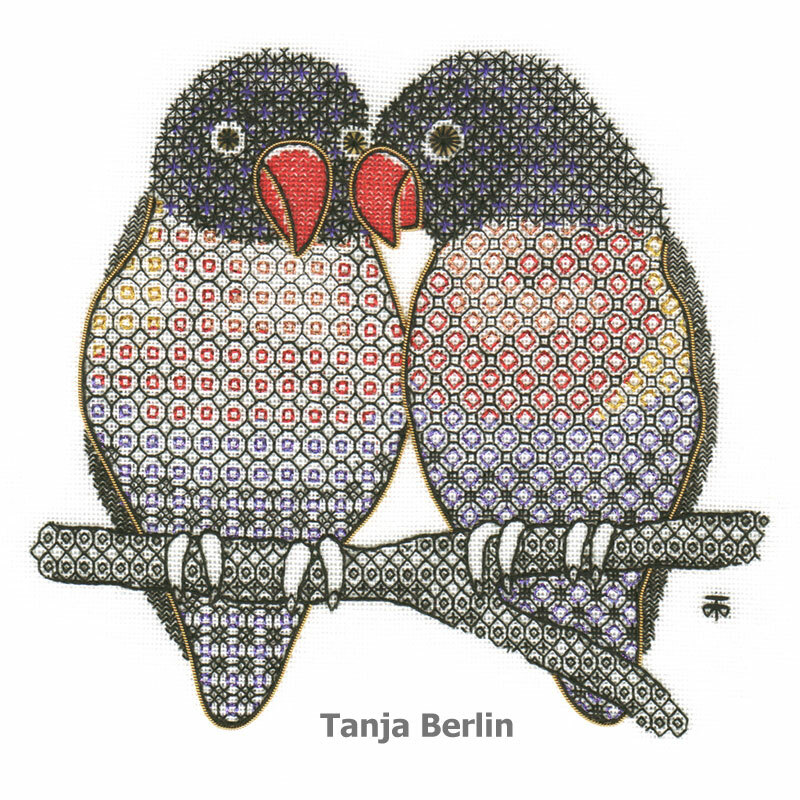 The Kit of the Month for April is the Blackwork Love Birds. The design is worked in interesting patterns using black threads, red Au Ver a Soie silk thread and Kreinik metallic threads. Areas of the design are outlined in pearl purl. The kit is reduced by $10.00 Canadian dollars and the kit with 5 PDF files with colour work-in-progress pictures is reduced by $35.00. In March I had a fun conversation with Gary Parr who runs weekly fiber talk podcasts in which he talks with needlework designers and embroidery enthusiasts. You can listen to the podcast below to hear about my embroidery history and other interests. 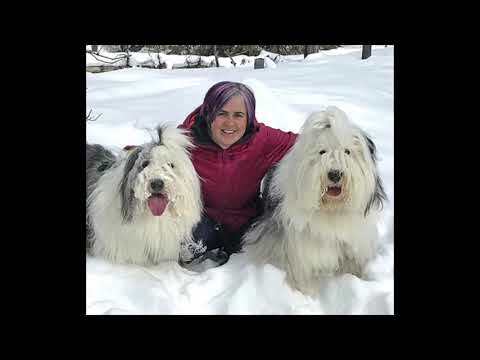 I have some catching up to do, three weeks away means the dogs need some personal attention and long grooming sessions to keep up their fluffy coats.